Method number one: Medical way of treatment. Method number two: Professional way. Method number three: “Armchair” way. Method number four: Natural remedies. Method number five: Myth busters. Method number one: A medical way of treatment. Medicinal acne (taking some corticosteroid medicine can be an origin of acne appearing). As you see, all these reasons and disorder are too difficult to be revealed without professional help. So, the best first step on the way of getting rid of acne is to pass a complex check-up, especially if you have been suffering from acne for months or years. In fact, what kind of acne curing can a doctor suggest you? Please note that taking all medicine listed below without consulting a doctor is strongly prohibited as it can create more problems for your health. Related: How to get rid of acne overnight and see dreams simultaneously? Antibiotics for application or oral introduction. Well, it is one of the most questionable methods of getting rid of acne. They disinfect your skin and support your immune system. Because of numerous side effects they are recommended only for difficult cases of acne. Azelaic acid is a perfect bacteria killing substance, so it is prescript rather often. Some oral contraceptives may be good as they can restore your harmonic balance and renovate your skin’s beauty and health. Other methods of getting rid of acne include diets, anti-stress programs, immune system managing. All in all they depend on your disorder, which has become an origin of acne. If you want to get rid of acne with professional help, you may ask a cosmetologist for it. Cosmetologists have special instruments for solving many skin problems. Undoubtedly, they are real experts in getting rid of acne. Let’s debunk a little myth about cosmetology and getting rid of acne: there is no fast way to get rid from acne forever, you have to pass several sessions at skin care shop and apply special cosmetics for a long time (from 2 to 6 months) to get rid of black spots. Laser therapy. This way of curing is known as the most popular concerning getting rid of acne. 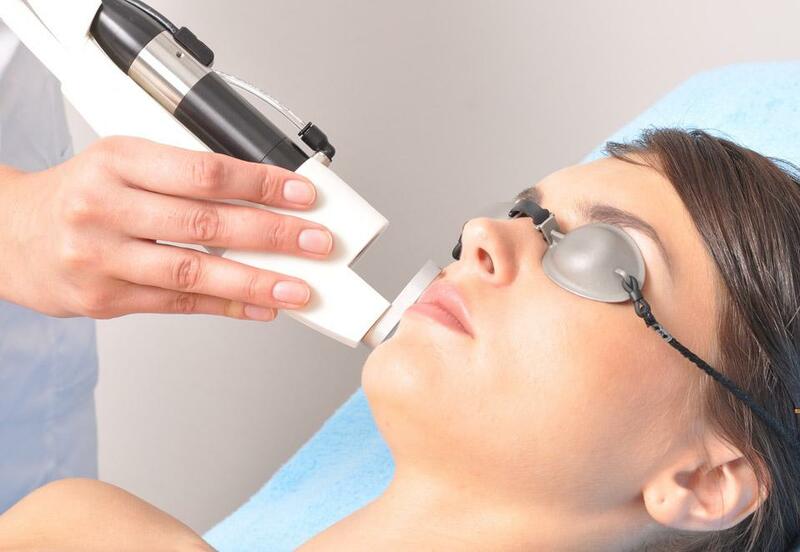 The essence of the method is a treatment of skin with special laser wave. This wave disinfects your skin, killing all germs, makes your skin softer and favors the oxygen nutrition of your skin. Another advantage of this method – it is fully contactless, so it means more hygiene of your skin. Many cosmetologists consider this method as very powerful, effective and tender. Eight or ten sessions under photoemission will help you to get rid of acne and kill almost every propionic bacteria in your skin. You will just have to apply some acne preventing masks and keep your skin constantly clean for supporting the level of your skin’s purity. Liquid nitrogen cleaning – another antiseptic method that helps to get rid from acne. However, this cleaning usually leaves acne scars, so further peeling procedures are required. Ultrasound cleaning – another wonderful method to get rid from acne. Ultrasound waves “brake” acne, renovate your skin’s surface making it smooth and help to get rid of acne scars. This method spares and does not harm your skin. Vacuum cleaning is a very tender method and can be processed only for getting rid from shallow acne. Mechanical cleaning is the most harmful procedure. 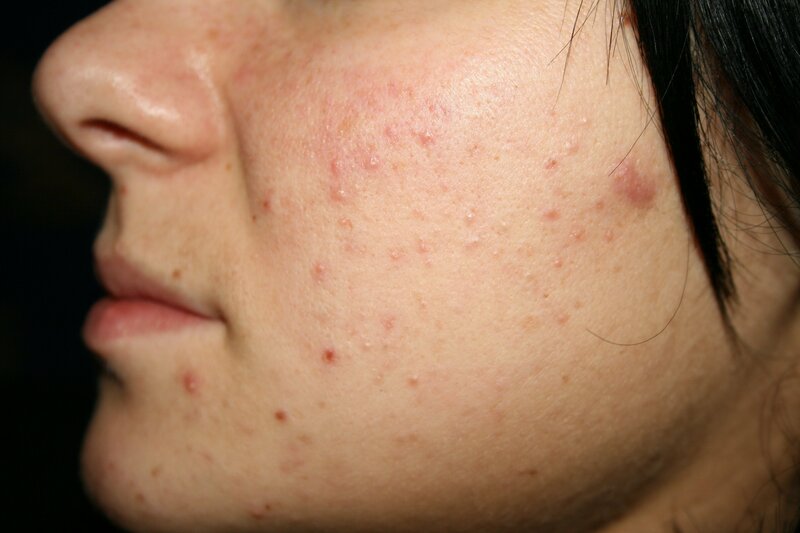 It leaves scars and redness and through its unhygienic nature the risk to get new acne is very high. All methods listed above involve using specialized cosmetics after procedures. However, these cosmetics are known as a separate method of getting rid of acne rather often. Please note, that not every cleaning cosmetic can do good for you. Carefully choose necessary cosmetics according to your type skin; and what’s more, they must not contain alcohols, oils and fats. Yes, alcohols dry pimples and acne, but they also destroy your skin’s natural lipidic cover, making your skin dry and vulnerable for new bacteria. Oils and fats stop up your pores making new acne, so they are even dangerous for your tender skin. Remember to ask a dermatologist or a cosmetologist about such cosmetics in order to find out if you are allowed to use them or if you have an allergic reaction to them. It is always pleasant to trust your skin to professional’s care. You may not have enough time or money to visit cosmetologist often though. We have some advices for you especially for such cases. 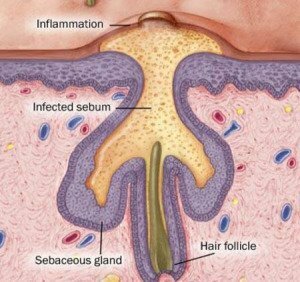 Use cosmetics containing salicylic acid. This substance is famous for its peeling features. Unfortunately, this acid does not kill bacteria and prevent excessive skin fats excretion, so you must have some other cosmetic substances for combining them with salicylic acid. Benzoyl peroxide is another substance which you may find in anti-acne cosmetics. It kills bacteria and does not let dead skin cells stop up your pores. However, it dries your skin, so its usage must be very moderately to prevent new acne. Simple soap and water are the oldest acne fighters. However, there are some tips about proper face washing: you must not was your face with soap more than twice a day, as soap dries your skin; wash you face only with cool water, because hot water promotes excessive skin fats excretion; try to wash you face with hands or very soft specialized sponges, as an excessive mechanical cleaning can harm you skin and become a reason for new inflammations and acne. There are a lot of anti-acne masks to apply on face or other problem parts of skin. Try to choose a mask that is the best for your skin type and carefully look over its contents in order to find those components you may have an allergy to. Try to take sunbaths. Ultraviolet rays in moderate amounts stimulate the production of vitamin D in your skin’s cells and dry acne and pimples. The best dose of these rays is lying under direct sun rays for 15 minutes every three or four hours. 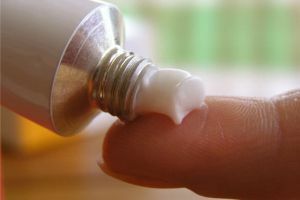 This can be dangerous for people with very tender skin or other medical problems connected with sun rays consumption. Try to cut your refinements consumption. Yes, there are opposite points of view concerning refined meals and acne: somebody affirms them to be one of common origins of acne appearing, others say that there is no proved connection between refinements consuming and acne appearing. All in all it is a scientifically proved fact that refined meals are harmful for your digestion system, so they may cause acne and pimples appearing. Antioxidants, which are excellent protecting from free radicals and excessive ultraviolet rays and renovating substances to your skin. Omega – 3 fatty acids: they build the protection of cell membranes; improve elasticity and blood supply of the skin. Vitamins A, B, C, D and PP. Vitamin A help to renovate your skin. Other vitamins are great antioxidants. Iron, which topes up your skin and also improves blood supply. They take part in skin renovation, and their lack can provoke an appearance of little chaps on your skin. Fats and oils, as they are needed for a proper vitamin A consumption. Remember, a healthy skin, which is supplied with all needed substances is more likely to get rid of acne. Many herbs, fruits and vegetables are great remedies for getting rid of acne themselves. Curiously enough, many people trust them more than professionals and specialized cosmetics. Here are some unquestionable advantages of natural medicine: they don’t contain any harmful synthetic chemicals and substances, they are rather cheap and sometimes very easy to get. However, they are not so simple. Paracelsus said: “Everything is poison, there is poison in everything. Only the dose makes a thing not a poison.” It means that even simple water can be harmful for your skin. Now you will read about some natural remedies for getting rid of acne and pimples. St. John’s wort is also good for those who have excessive skin fats excretion. Calendula is a great herb for your skin. Usually its alcoholate is used, but you should remember to dilute it with water in order to save your skin. Take several tablespoons of the broth before every meal. Daisy is also a great herb for getting rid of acne and inflammations. Its water infusion is used as a lotion for skin. Grate some pumpkin and apply this paste on inflammations. Keep it for 15 minutes and then wash off with cool water. A garlic mask is also rather good. You have to grate some garlic heads and apply this mask on your skin for 10 or 15 minutes. A mask made of honey is a good antiseptic remedy. You have just to heat some honey and put it on your skin. If you add some oat flakes, which were soaked in water beforehand, you will get not only an antiseptic, but also a cleaning mask. Keep this mask for 15 minutes and that carefully wash yourself with warm water. A simple potato can become a real savior of your skin: it contains vitamins and antioxidants and has antiseptic and healing effects. A recipe of potato mask is very simple: grate a potato, squeeze excessive water from the paste and carefully apply it on your acnes. 30 minutes will be just enough for this mask. This mask also prevents appearance of acne scars. You can prepare a great scrub from oat flakes. Mill some flakes and add the powder to any nutritious paste, for example with sour cream. If you have a fat type of skin, it is useful to add to the scrub one tablespoon of lemon juice. A mixture of strawberries or raspberries with dry milk and fresh lemon juice is a great scrub and mask. Let the mask sit on your face’s skin for a quarter of an hour and then make a slight facial massage. Then you should wash your face with cool water. Remember: every person is unique and has a unique skin, and the universal recipe of getting rid of acne has never existed. Try to consult a professional or an experienced person about all natural remedies. They may not do for you or just lead all your attempts to nowhere. You must also remember that honey, berries, herbs or fruits can be allergic for you, so get yourself convinced you are not vulnerable. A good doctor knows how to get rid of acne for one week. No, it will take a specialist to get rid of your acne several months and even after it you have to use some acne preventing procedures. Drying of pimples will help to get fid of them. Yes, in some cases drying is a good method, but it cannot be used frequently and be the only method, as a healthy skin can also be dried, and just new acne will come out of it. Regular sexual intercourses can help you to get rid of acne. Actually there’s no proved connection between them and acne appearing. Mechanic face cleaning is always a reason for new acne. Mechanic face cleaning will improve your skin’s condition, but you have to pass this manipulation carefully. Acne and pimples disappear after sunbaths and sessions in solarium. In point of fact tan does not get rid of acne and pimples, it just covers them. The main origin of acne is a dirty skin, so I have to keep it constantly clean. No, you mustn’t watch your face’s purity constantly like a maniac. Yes, you skin must not be very dirty, but excessive and aggressive cleaning can be very harmful for your skin’s structure, as it was said earlier. Now you have met almost all possible and healthy ways about getting rid of acne. Just remember some simple rules: don’t leave your acne untreated, they will hardly disappear by themselves; do not try getting rid of them by squeezing them as you will just get new black spots and acne scars; do not be worried about acne too much: you are not the first person ever who has got this problem, a way to get rid from acne will be found and then you will continue enjoying life. In your article mention that ‘curiously enough, many people trust them more than professionals and specialized cosmetics’ regarding many herbs, fruits and vegetables are great remedies for getting rid of acne. I think so, natural remedies are great remedies if it sweet to you. Here is one remedy which, I think, can be effective to get rid of acne :2 tablespoons of honey + 1 teaspoon of cinnamon mix together until they are thoroughly blended and have formed a sort of paste. Apply the mask to your face (or spot treat) and leave on for 10-15 minutes. Rinse off completely, and pat your face dry. This is a sticky mixture, so make sure you have some paper towels at on hand.